The Korg PC-770 Piano Bench is smart and comfortable seat for the live or home musician. The height can be adjusted quickly and reliable by two convenient handles. The leatherette surface is easy to clean, whilst the padded cushion remains comfortable over long performances. The wide seating surface allows you to retain balance when subtly adjusting your position during a performance. The four legged base and even height adjustment means that you remain balanced in any setting. 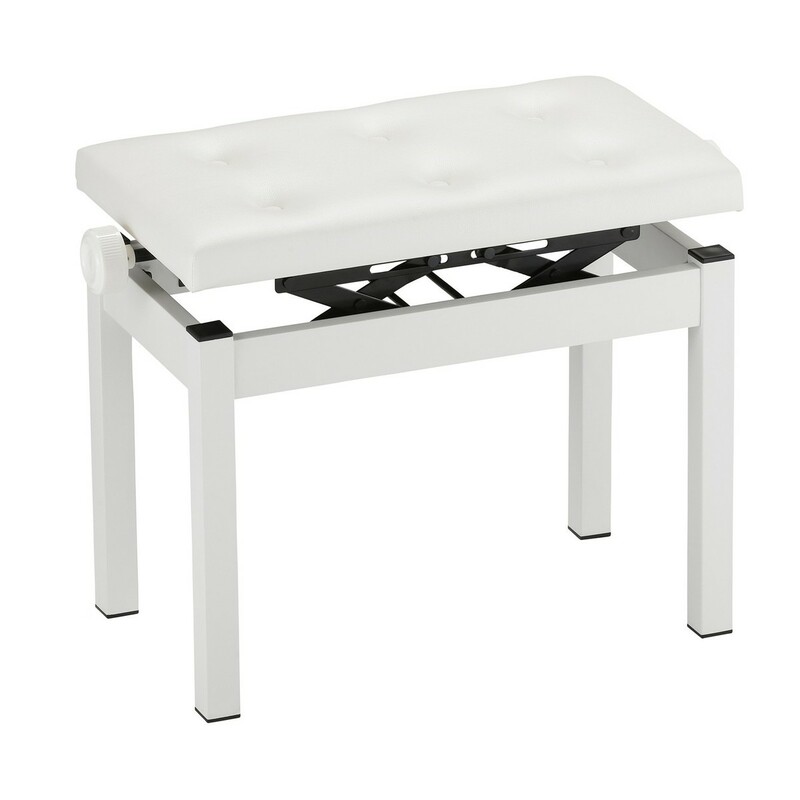 This model has a white finish that looks equally smart on the stage as it does in the home.